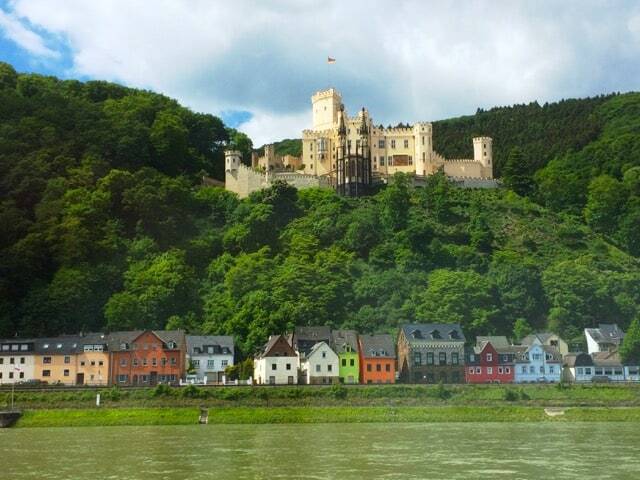 Historic castles on the Rhine. The Rhine is one of the most famous rivers in the world. From its source in Switzerland, the river winds its way into France, where it forms the border with Germany, before continuing into Germany and finally the Netherlands where it reaches the North Sea. I’ve driven the length of the Rhine from the Netherlands to Switzerland, and did the reverse by train. 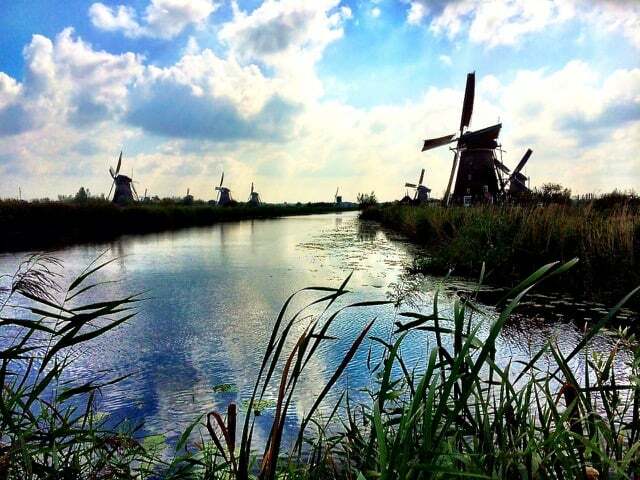 When I received an invitation to embark on a Rhine Getaway with Viking Cruises, I accepted with glee – from the stories I’d heard about these cruises, I knew I was in for a treat! 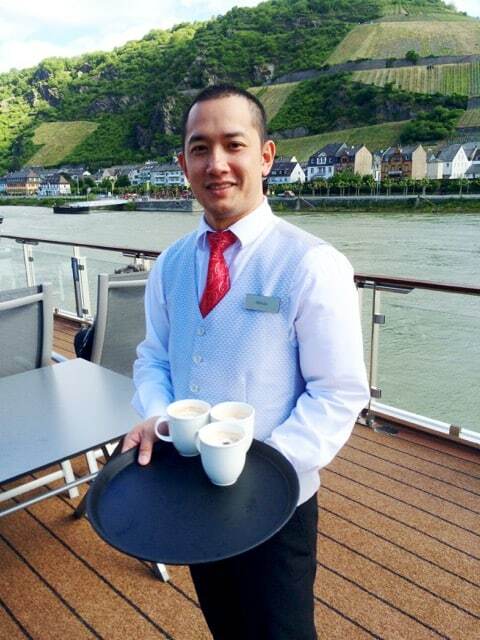 Viking Cruises operates some of the most luxurious ships on the Rhine with a variety of itineraries. I chose the 8-day Rhine Getaway cruise from Basel to Amsterdam. The package includes lodging, meals and (most) tours. Arriving at Basel Airport is a unique experience: the airport, situated in France, serves three cities in three countries – Basel in Switzerland, Mulhouse in France and Freiburg in Germany! After passengers collect their bags, they’ll be faced with the choice of exiting right to Switzerland or left to France/Germany! At Basel Airport, turn right for Switzerland. 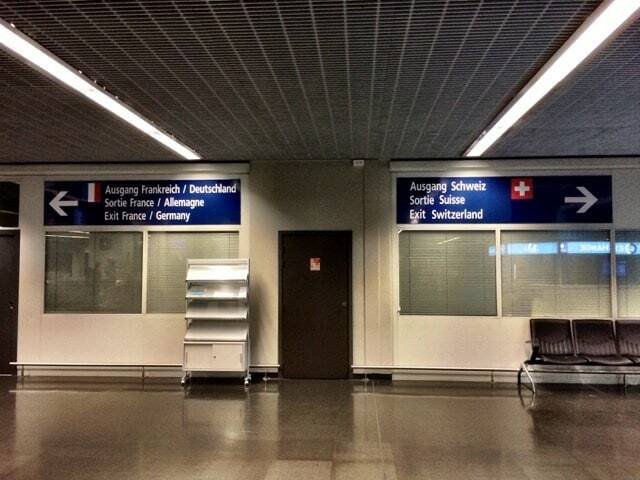 Turn left for France and Germany! I was met by a cheery Viking Cruises representative who led me to a waiting Viking Cruises bus, which brought us to Basel where the ship, Viking Mani, was moored. My bags were swiftly loaded onto the bus and the next time I saw them was in my Stateroom on board the ship. I boarded the ship to find a bright and airy, elegantly furnished atrium. There were cosy sitting areas, a small library and shop as well as a corner with several computers (free wifi is also available). 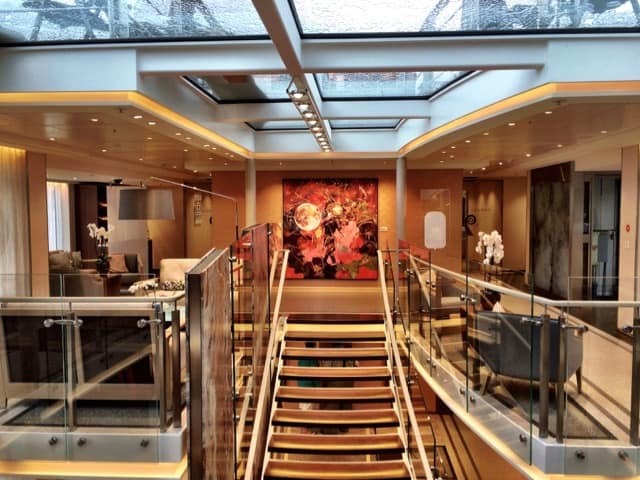 The atrium on board the Viking Mani. 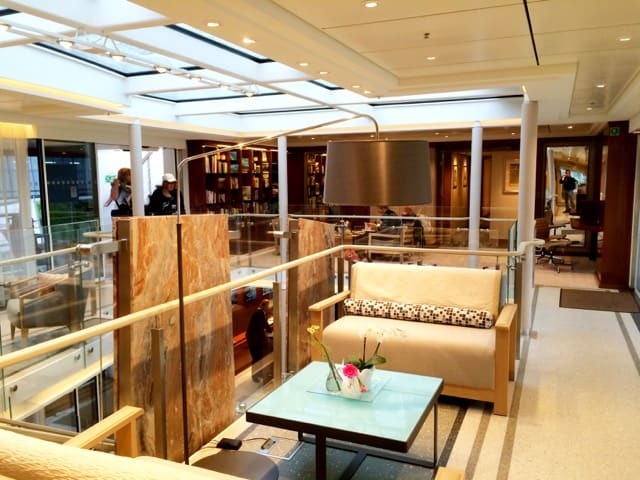 Cosy areas in the atrium on board the Viking Mani. The staff welcomed us with big smiles and the check-in took literally a few minutes. I was led to my Veranda Stateroom on the Upper Deck by the friendly Hotel Manager. The room was compact, with a large, comfortable bed, a writing table, flat-screen television (with a selection of news channels and in-house info, movie and game channels), mini-bar, safe and sufficient closet space. At one corner of the table, I found two small receiver devices with earphones sitting neatly in the charger – these were used for all guided tours; a handy device indeed. Sliding doors opened out to a private terrace with a table and chairs. The bathroom was equally compact but very well-equipped – I especially liked the heated floor and fog-free mirror. Overall, the room had a contemporary, functional and elegant feel. I quickly left my room to explore the rest of the ship. The Sun Deck featured a jogging track, putting green, a herb garden, shaded sitting areas and solar panels that help to power the ship. I soon discovered that everything on this deck, from the wheelhouse to the railings, could be lowered flat in order for the ship to pass under bridges (especially when water levels are high). 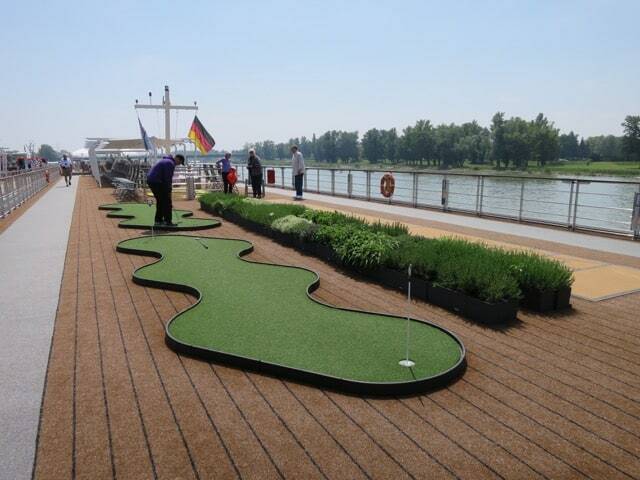 The Sun Deck with the putting green, herb garden and jogging track. The front section of the Upper Deck housed the Aquavit Terrace, an informal café with an indoor/outdoor viewing area. Behind the terrace was the large Lounge and Bar, bathed in light streaming through the floor-to-ceiling windows. 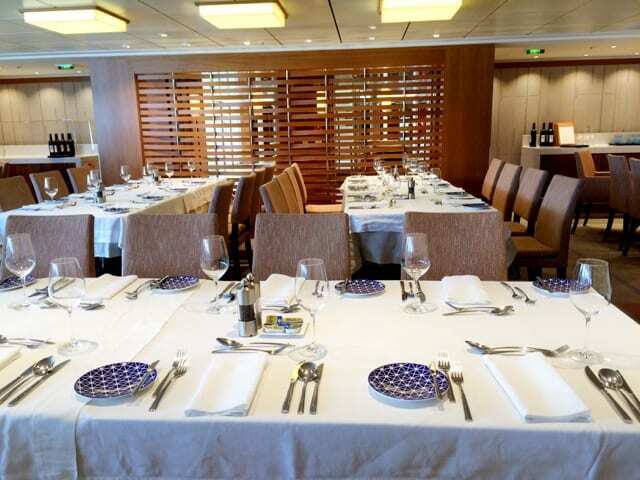 The Middle Deck housed the ship’s elegant restaurant which also featured floor-to-ceiling windows for optimal viewing. As the ship started to sail, I noticed how quiet it was. I asked the Captain about this and he proudly replied that this was due to the hybrid engines. Not only were they more eco-friendly, they were much quieter than conventional engines. That evening, after a safety drill, the approximately 190 guests were invited to the Lounge for a welcome cocktail reception hosted by the Captain. We were introduced to the ship’s crew by the Captain and the Hotel Manager. The Program Manager then took over for the first of the daily briefings during which the guests were informed about the following day’s program, including logistics and timings. The senior crew of the Viking Mani, with the Captain in the far left. 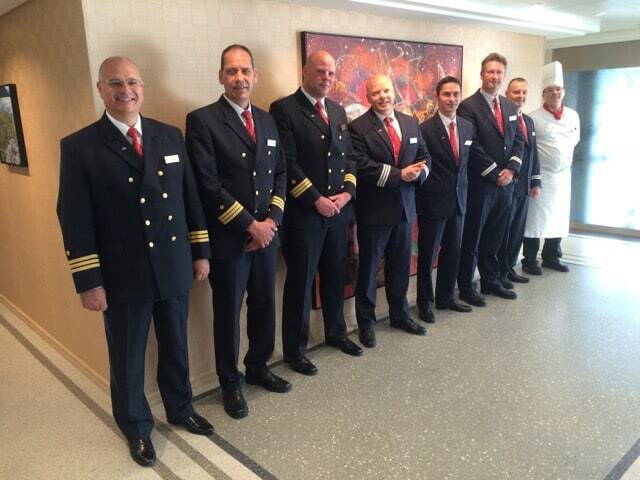 I had many opportunities to observe the staff at work during my week on board the ship and I was impressed. The multinational crew were friendly and cheerful, and provided top-notch service in a non-intrusive manner. It’s always the small details that matter and this crew excelled in that department. After the first day, the crew knew how I like my coffee, which wines I preferred and above all, my name. Each time we returned from an excursion, the crew (including the Captain) welcomed all the guests with cold towels and refreshments. One day, we returned to find the crew standing in line on the upper deck, holding placards that read “Welcome Home”. On colder days, the crew brought warm blankets and hot chocolate for the guests enjoying the view from the Sun Deck. 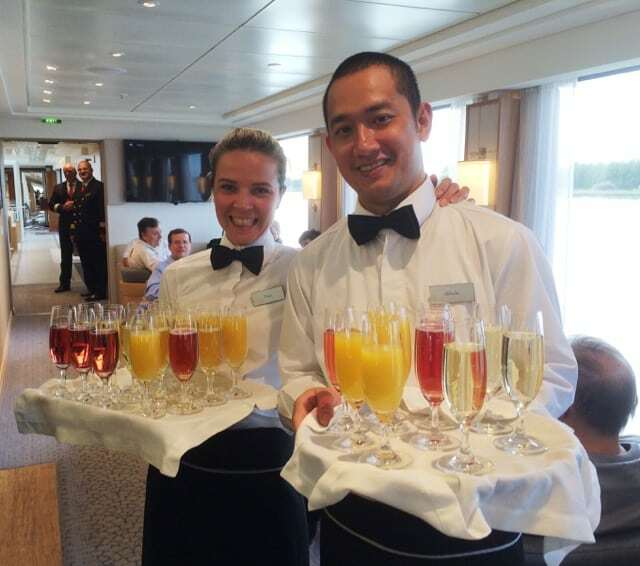 This high level of service kept guests in good spirits throughout the cruise. The lovely crew were big on smiles. Hot chocolate on a cold day. A fab combination! I was especially impressed with the Program Manager who, together with his team, skillfully handled the organisation and logistics of the excursions. Any issues were handled swiftly and efficiently, and his smile and (quirky) sense of humour ensured everyone felt at ease at all times. He also gave insightful and entertaining talks at the Lounge on various topics from the history of Germany and France to Dutch water management prowess. The Rhine Getaway itinerary took us from Basel in Switzerland to France and Germany and ended in Amsterdam, the Netherlands. 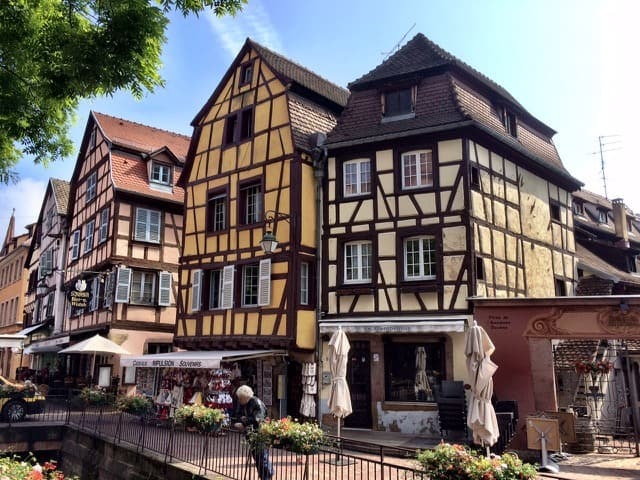 Along the way, day tours were organised to beautiful historic towns such as Colmar, Strasbourg, Heidelberg and the UNESCO World Heritage protected windmills of Kinderdijk as well as the largest city along the route, Cologne. The gorgeous Petit France neighbourhood in Strasbourg. 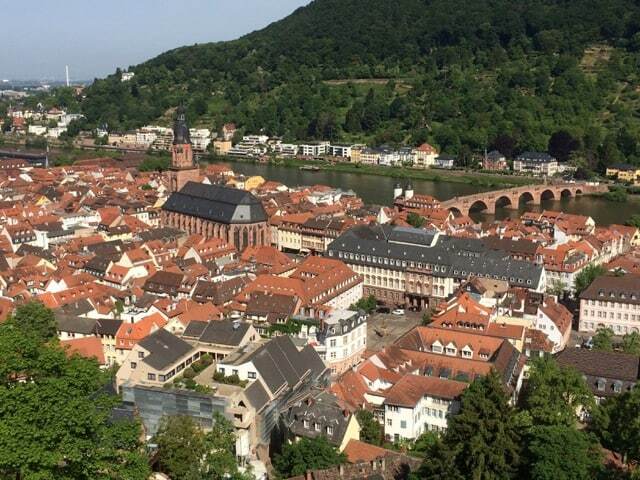 A panoramic view of Heidelburg in Germany. There were also excursions to, amongst others, the lush Black Forest, the Alsace wineries, the imposing Marksburg Castle as well as a local cheese-making farm in the Netherlands. Guests were transported in comfortable buses and local guides were employed to lead the tours. 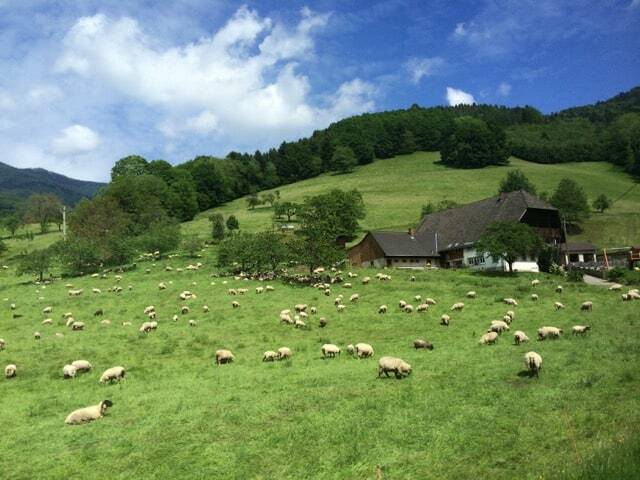 Gorgeous meadows in the Black Forest in Germany. 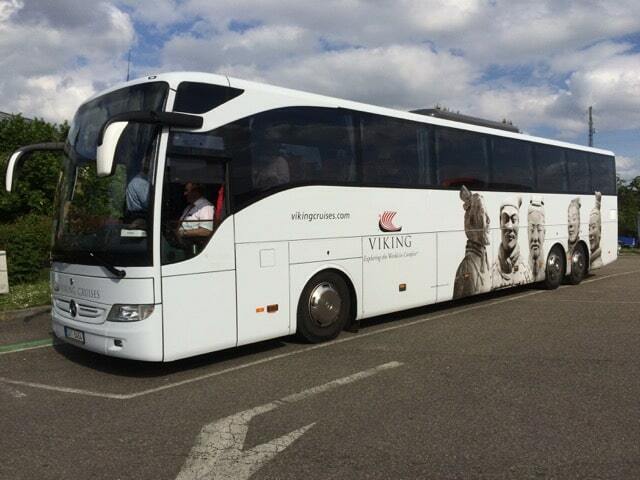 Guests were transported in these comfortable Viking Cruises buses. I was impressed with how well the itinerary was planned – most of the sailing was done at night, leaving plenty of time during the day for guests to go on land excursions. The most beautiful parts of the Rhine such as the stunning Rhine Gorge, with its countless castles, were navigated during the day so guests could enjoy the gorgeous scenery. I’d covered this route by train and road before but it was quickly evident to me: seeing the Rhine river by means of a luxury cruise is way better! One of many imposing castles in the Rhine Gorge. The Basel-Amsterdam itinerary was a bit more packed during the first half of the 8-day cruise, with morning and afternoon excursions each day. The second half of the itinerary was more relaxed; there was plenty of time to just read a book, lounge on the Sun Deck or do some individual exploration. Meals were served at the Aquavit Terrace and in the Restaurant. There was a buffet for breakfast and lunch whilst dinner was an a lá carte affair. The meals were of a constantly high quality. I especially loved the salads and the ever-changing menu that reflected the specialties from the regions we sailed through. My favourite though was the steak (which could be ordered every evening): tender, juicy and grilled to perfection! 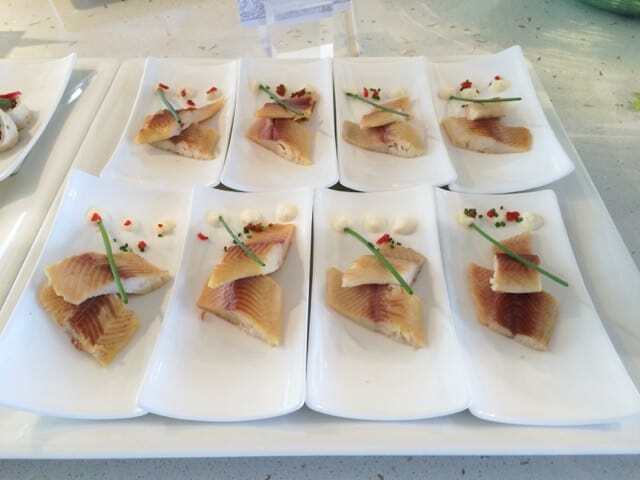 Guests could choose their appetisers for lunch at the buffet. 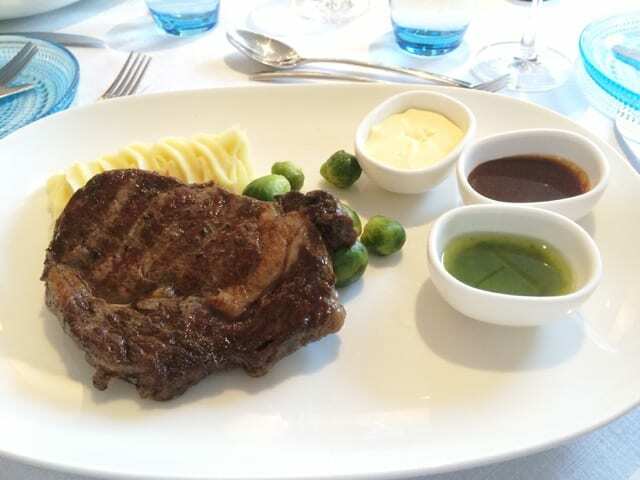 The yummy steak which I had during my first and last dinner on board! 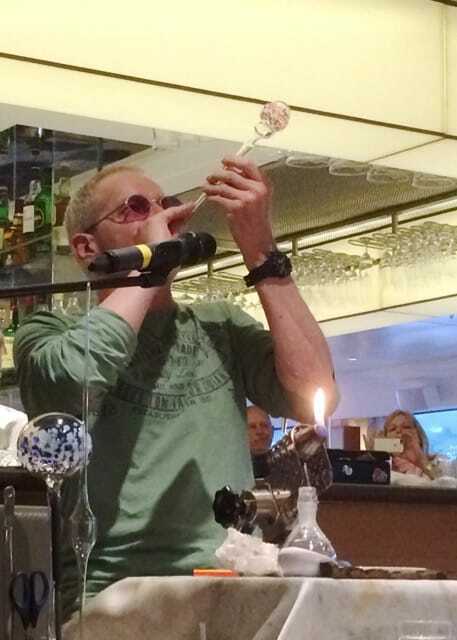 Guests were kept entertained throughout the cruise with informative talks by local experts, glass-blowing demonstrations, classical music performances, and by the crew who were always in for a laugh. 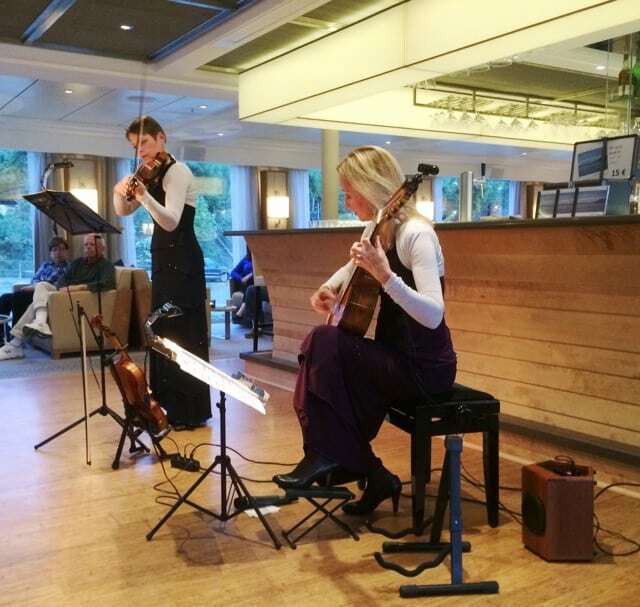 Classical music performances in the Lounge. Guests were also treated to a wonderful glass-blowing demonstration. I had a fabulous time on board and the week just whizzed by. I can definitely recommend this Rhine river cruise for the quality of the service, the incredibly comfortable ship and the seemingly effortless organisation. 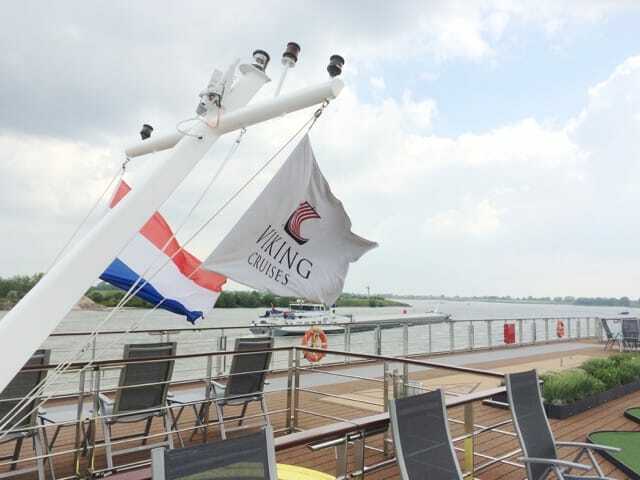 Viking Cruises sailing in Holland. Read about my Danube River cruise with Viking Cruises. Note: I was hosted by Viking Cruises on the Rhine Getaway. As always, all views expressed above are mine, and mine only. The time on shore is pretty mixed. Sometimes, the ship moors in the early-morning and we would have the whole morning and afternoon for excursions (leaving somewhere between 4-7pm; or later at night, allowing us to have dinner onshore). Sometimes, we would arrive in the mid-morning/afternoon and have several hours at one place and at other times, we would spend a night moored at a certain spot, which gave us the opportunity to have a meal on board or in the town/city. Overall, I felt that there was a good balance between time on board and on shore. I hope this helps. I’ve been on several ocean cruises, but this is my first river cruise. I’m trying to get a feel of a day’s schedule. Sorry, if this was already covered. But do you know how many hours of the day that passengers are alotted to spend on shore? I remember the time frames were pretty tight on ocean cruises with the times on shore from like 10 am to 6 pm. April is a bit tricky, weather-wise. It could be sunny and warm or cold and wet. In any case, bring a warm coat and a hat. As the weather is quite unpredictable in April, I would advise you to dress in layers. Viking Cruises organizes tours for different fitness levels so you can choose which is best for you. As for your sailing package, I suggest getting in touch with Viking Cruises directly. My husband and I are sailing from Amsterdam to Basel April 1. What will the weather be like? Will we need a coat? Also, how do we get tickets for the Anne Frank house? I am not too good walking. Will I be able to do everything.And how soon will we get our sailing package? I’m not entirely sure as I live in Amsterdam so I headed straight home from the ship. You’ll have to check your itinerary but I definitely recommend spending an extra day or two to see Amsterdam – there’s lots to see and do! I know several people on my cruise who booked an extra 3 nights. That’s correct, it’s a picture of a terracotta warrior. I have a question about the picture on 1 of your busses. Is it terracotta army displayed on it? I’m afraid I’m not aware of that though it shouldn’t be too hard to do once you have the cruise itinerary. Wondering if you knew of anyone that booked excursions on their own (outside of those offered by Viking)? That shouldn’t be a problem. On my trip, there were some passengers who had trouble walking as well. Viking organises separate walks for those who want to see the towns but can’t walk too far – the walks are shorter and at a slower pace. 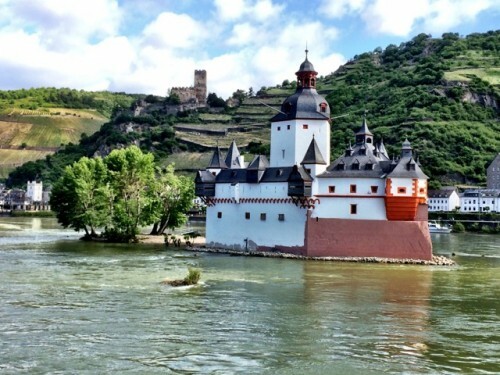 If you’re thinking of going on the Rhine Getaway cruise, I would skip the Marksburg Castle excursion as it involves navigating quite a few steps and is quite steep in places. In the towns, you can leave the group and stop for a coffee anytime if your Mum is tired as they always tell you where to meet up later. Hope this helps. Many of the excursions are included in the price. Next to the included excursions, there were a handful of additional excursions which could be booked for an extra cost but these weren’t very expensive. I would say the average age was somewhere between 50-65. Hope this helps. Enjoy the cruise! Thank you for your comment. Which cruise was this? On the Rhine Getaway, there was some walking (in the towns) but I would hardly call it “miles”. Viking should give you a free cruise for this write-up! Now I wanna go. Took a much cheaper cruise years ago on the Rhine but this one Soundd top-notch! How expensive are the day excursions? I want to take my Mother but she has trouble walking long distances or standing for long periods? She is not handicapped but would this be an uncomfortable trip for her? Would she be able to get on the excursions buses at least to see some other places? A friend and I will be taking this trip from October 30th to September 6th. Your pictures and descriptions are so interesting! I am concerned about what kind of weather we will encounter during this Fall season. We’re going to extend our trip and spend two extra days in Amsterdam. I’ve been excited for this trip, but now after seeing your blog, I’m even more so! Hi Keith, Viking Mani, our cruise departed Basel July 10th we were in a French Balcony cabin 334. The stag tried to fix the noise in our room for first three days we were then moved down to the lower level, hopefully noise issue in ceiling was fixed before the next cruise departed. I’m sorry to hear that. I’m not a runner myself but I didn’t see anyone running on the track, just ‘power-walking’. I didn’t experience any issues with my cabin. Which cabin were you in and which ship? Would love to go for a boat ride on The Rhine again. It has been over 36 years. Would love to see The Rhine again. It is beautiful. Hello Alfredo, Pavol and Ferenc, and Dove, Zlatko and Javoslava ! You helped make our vacation wonderful. No running track, the track is for walking only, when we were on the cruise someone was running very early the first morning, this was soon stopped by staff. It had been explained on the first night that the track was for walking only. The runner that first day was very noisy sleeping in a cabin below. Our cabin had many problems the first four days of our eight day cruise. I’m in no hurry to return to a Viking river cruise. Staff & itineray were fantastic, our cabin was hugely disappointing. That’s one lovely ship! The attitude is everything, especially when you’re dealing with customers and those people are amazing, they smile from ear to ear. There’s nothing worse than having to spend your cruise along grumpy people, it drags down the whole experience. 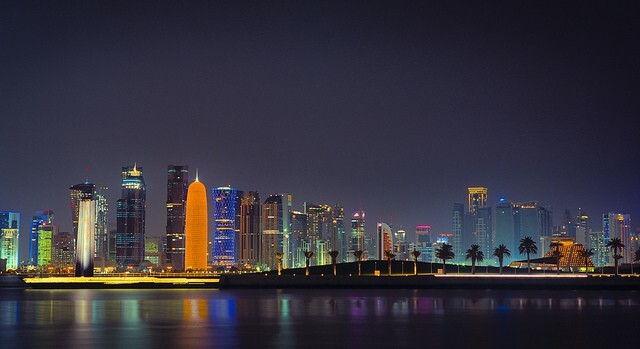 Great destination, full of castles, cathedrals and such a picturesque view, it’s hard not to enjoy this. 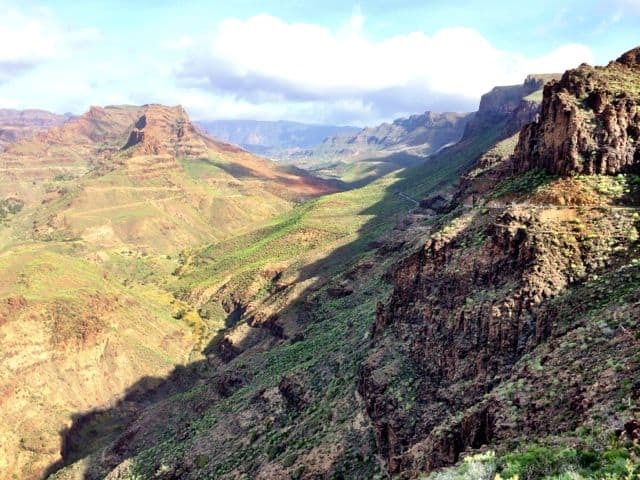 The old continent is full of surprises, you don’t get bored of seeing these places! 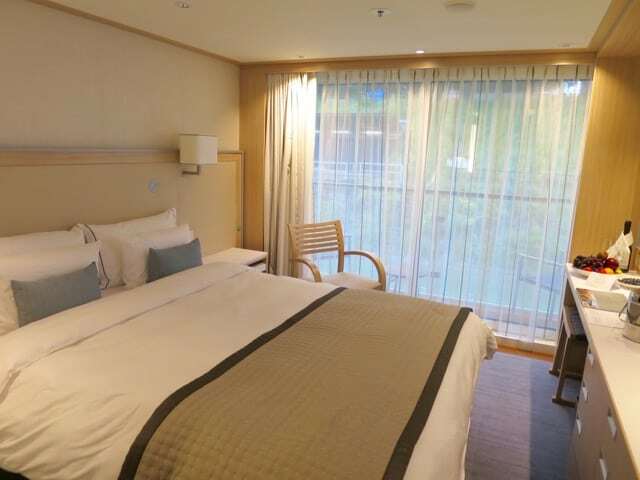 I have a family friend going on a river cruise, but I didn’t realize that river cruises are so similar to regular cruises where you have staterooms and everything. I love the idea of a river cruise because they take to such neat little places in Europe. Loved all the pictures. Thanks for sharing! Thanks for your fab comment. Really happy that you loved the article/photos. It was a beautiful cruise! 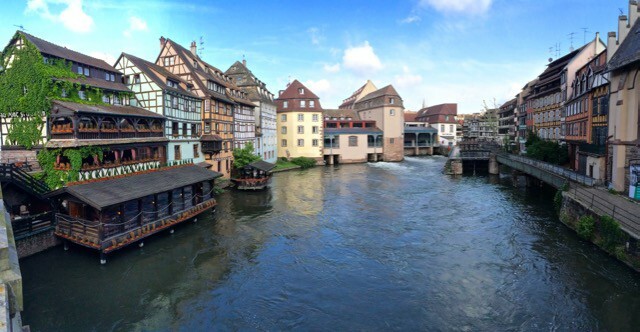 Going in the opposite direction, from Amsterdam to Basel, your itinerary will start in a pretty relaxed way and it gets busier towards the end, with (for me) the major highlights like Strasbourg, Colmar and the Black Forest. Have a wonderful cruise! I’m sure you’ll love it!